THE FOLLOW – LIVE at Ce Soir! Happy Birthday, Mireille! – Ce Soir Arts – Be inspired tonight! 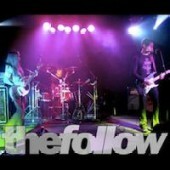 THE FOLLOW – LIVE at Ce Soir! Happy Birthday, Mireille! Yep! It’s Mireille‘s birthday today – and we’re having THE FOLLOW in for the party! Come on over and join us at 7 PM SLT tonight, 29 September! The Follow is a fantastic group – three exceptionally talented musicians who bring a freshness to their music that is undeniable. Innovative in sound, their music is filled with sensitive lyrics and outstanding musical instrumentation. Rich bass, captivating lead guitar, and rhythmic drums come together in just the right way to provide astounding backing for strong vocals – both solos and in sweet harmonies. You’ll love this hour, so come on over! Previous Great music, poetry, and sculpture in the gardens – a great week ahead! Next Sunday…Sunday…Sunday! Dragonfly and TwinGhost are LIVE at Ce Soir!